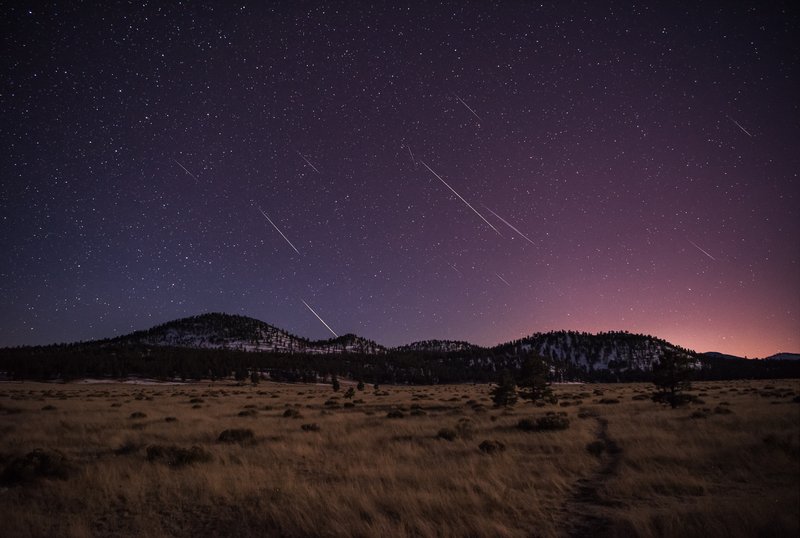 Geminid Meteor Shower – Sunset Crater Volcano National Monument, Arizona. Arguably the best meteor shower of the year. I was fortunate to have clear skies during the peak activity of the Geminid meteor shower in Flagstaff, Arizona. Snow covered sunset crater shimmered with silver light of the moon just when it was 10 degrees above the horizon. And when it got completely dark, the sky was lit up with meteor shower in all directions. It was non-stop. It was incredible. The finest meteor shower I’ve ever seen.